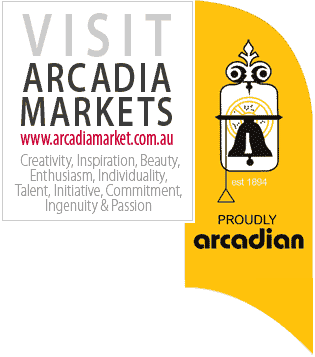 Arcadians have a true pride and an ability to strive for the best for their families. It is hard to imagine that this Arcadia was initially forested with an expanse of native trees before George Hall arrived with a 600 acre land grant in 1819. This timber was then milled and used for shingles and building materials for the growing Sydney area, during this time more families settled in the area. Once the land was cleared, families then turned the area into Sydney’s fruit bowl growing citrus, stone fruit and egg production. Life was tough, no running water or power, basic living conditions and certainly a long way to Hornsby or Parramatta by horse and cart. The many street names we have in Arcadia are a long lasting legacy to these early pioneering families. 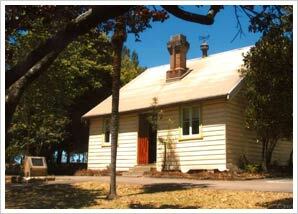 Initially this area was called North Colah then in 1886 Galston was given its named by Alexander Hutchinson. The names Upper Galston or Galston Heights was used until 1895 in an official meeting renamed it Arcadia. 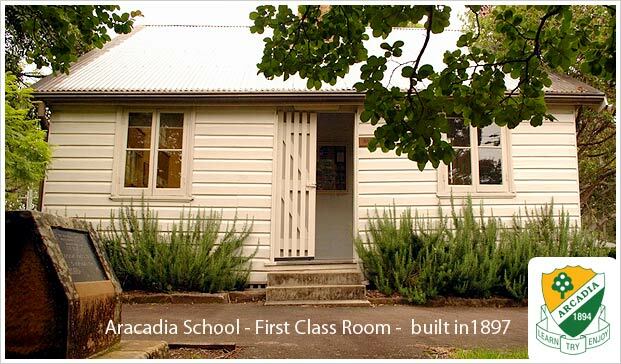 Arcadia Public School was welcomed by all the local families in 1894 so their children could receive a worthy education and the spirit of Arcadia was born. The beauty of our area is unique in both the landscape and the people making this a wonderful place to live. 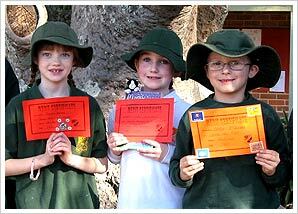 The School has become a focal point for many community events and social gatherings where the locals meet and remember the good times with lifelong friends. We owe a deep gratitude to all the families before us for their efforts to the commencement of Arcadia Public School and their endurance in keeping the students and teachers with the best that money could buy. This spirit is still alive 120 years later where families continue to fundraise for modern learning tools and work on the beautiful school grounds. The continuing assistance given by families to the teachers and students has not declined and the want and need for a worthy education is as important today as 120 years ago. In 2014, Arcadia has changed with only a few properties now sustaining families with such Agricultural activities such as orchids and farms, nurseries and cut flower farms. Lands sizes have not changed much since the 1970’s when the last subdivision boom seeing lands sizes on average being 5-10 acres. We have many small businesses in Arcadia though most people would now commute to work and use their land as a sanctuary away from the city life and enjoy many animals big and small on their hobby farms. The beautiful rolling hills of green fields surround us all with families enjoying the wide open spaces. 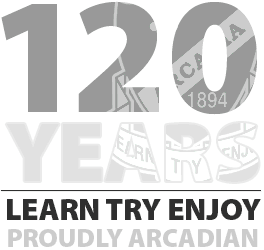 Proudly Arcadian 2014 is a tribute to all people who have lived or worked in the area, as this has made this a special place with the unrivalled Arcadian spirit that continues to be alive and well 120 years later. archive of all events Arcadian! © 2014 Arcadia School. All rights reserved.